Pepperl+Fuchs encoders can be used wherever it is necessary to determine such parameters as frequency, speed, acceleration and direction of rotation. The sensors of such type can be used in the most different industries, including mechanical engineering, manufacture of conveyors and material handling equipment or packing industry. Pepperl Fuchs produce the wide nomenclature of encoders, among which it is always possible to find suitable for any industry. In automation encoders are used to measure the angle, rotation, velocity, and acceleration of rotation. Linear motion also can be measured by using spindles, gear racks, measuring wheels or cable mechanisms. Rotary Encoders convert rotational motion into electrical signals that are processed by counters, tachometers, controllers or computers. The P+F company offers absolute and incremental rotary encoders with accessories and cable pulls. Incremental encoders induce only move when driving. They generate output pulses which are counted by the reversible counter therefore, their meter readings correspond to how far the disk has moved from the start. Here basically are used two sensitive elements, located in the transducers so that their outputs are shifted relative to each other by 90° on a phase. In this case it is possible to use special logic to determine the direction and therefore to determine up or down should be considered counter. 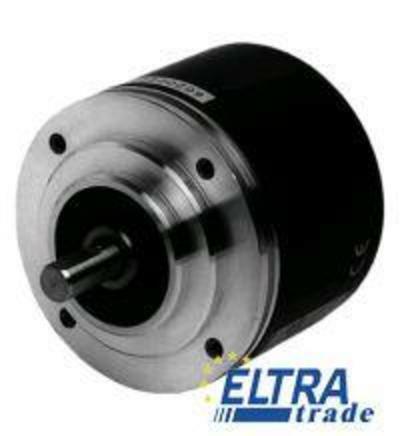 In the line of incremental rotary encoders there are encoders with solid, hollow or partially hollow rotation shaft, with diameter from 6 to 15 mm and with the amount of impulses in an output signal from 500 to 10000 on one turn.